Listed below are links to resources and handouts from the Wildfire Evacuation: What You Need to Know event. If you want to have this presentation for your neighborhood group, HOA, Church group, please contact the Association at DBCNA.info@gmail.com. There were a lot of questions about San Rafael Vegetation Management. Currently this is handled by Dave Heida at david.heida@cityofsanrafael.org or you can call the main number at Station 51: 415 485-3307 with questions, requesting an inspection or concerns about neighbor’s vegetation. The overview of the fire regulations, which apply to you if you live in the WUI (Wildland Urban Interface), is item 8 below. You can listen to the event on Penguin Radio. You might want to try to follow along with the presentation (item 1 below). Listen here. Rafael Drive is our first neighborhood group to have a majority of participants complete the 5 Simple Steps to Prepare. We have placed a lawn sign in their yards to show off their accomplishment! Take a drive down Rafael and see the participation. Nice job! 5. Put a pair of shoes and socks under your bed. When the majority of the group has completed the steps, we ask to put a sign in their yard for ONE WEEK and then we’ll pick them up, and put them in another neighborhood group. Next week: Palm Ave. and St. Francis Lane! It is easy. Takes little time and it is our first steps to getting Dominican Black Canyon ready to survive an major disaster. Want a group on your street? Call Paula at 415 455-5301 or email us at info@dominicanareanews.com. We’ll get your group moving forward. If you are in a group, or identified as a block captain and need help keeping your organizing moving forward, let us know. Don’t wait for the disaster to happen! Our mission is to have all homes in the Dominican neighborhood organized into groups and prepared for an emergency. Yes, we think big. Be a part of it. There are a number of emergencies we might have to deal with: wildfire, evacuation, earthquake, and crime-based lockdown are just a few. In all instances, we need to be able to take care of ourselves. First-responders may not be available to help us depending on the size and characteristics of the emergency. 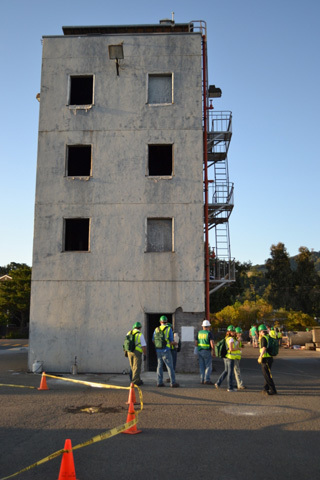 Both public agencies and private organizations in Marin County prepare plans and conduct drills to be ready in the event of an emergency. What are we doing? 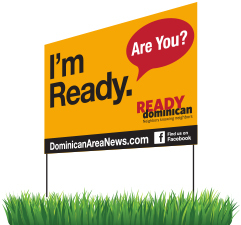 ReadyDominican is an initiative to organize, prepare, and build our own readiness. We need your participation. Learn more about readiness complete with checklists and suggestions at ReadyMarin.org. You can also register for a CERT class on the site! There are 23 firefighters on duty in San Rafael on any one shift. 23 firefights, 57,000 residents which grows to 100,000 during the day. Do the math. Getting help is going to be very difficult. Our first responders will be overwhelmed very quickly. We need to prepare to take care of ourselves. The ReadyDominican program is based on establishing groups where neighbors share contact information and confirm completion of five basic steps toward emergency preparedness. 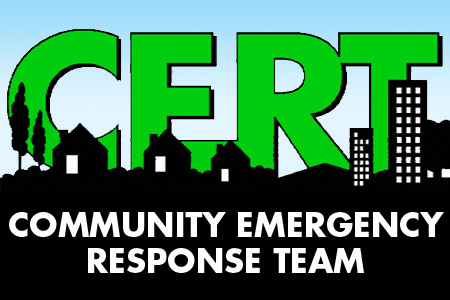 Our goal is to have at least one member of each neighborhood group complete the Community Emergency Response Team (CERT) course offered by Marin County (www.ReadyMarin.org). 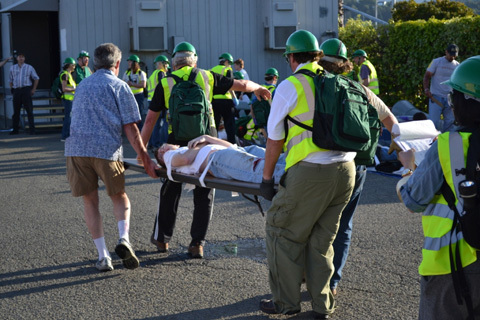 The Dominican Black Canyon Neighborhood Association, who is sponsoring this initiative, will reimburse the CERT training fee upon completion (the course will be offered in September in San Rafael!). We have several small hand-held radio networks active in our neighborhood. If we had no phones or text capabilities, how do we communicate within the neighborhood and with the San Rafael Emergency Operations Center? We need to broaden our communications plan and the best way to do that is through neighborhood groups. We can conduct a Get Ready 90-minute presentation, complete with snacks, to give you a more thorough overview of what you can do to prepare. If you are interested in hosting a presentation for your neighbors, please contact us at DBCNA.info@gmail.com. I’m very busy. Can I still participate? We are all busy. We have designed ReadyDominican to show you how easy it is to establish basic preparation at your home. You will see that taking a few additional steps to your life (using our guidance) isn’t such a time consuming task. There are no deadlines or requirements. You can build your readiness at your own pace. Many people think “it won’t happen to me”. Unfortunately, we know the dangers of living in “earthquake country” are real. We also live in a hot, relatively dry, climate adjacent to open space lands susceptible to wildfire. If there is a severe earthquake, it will help to know that the lady two doors down has mobility problems and might need help. In the event of a daytime fire evacuation, it will help to know that the people next door work in San Francisco and their dog is inside the house. Maybe you find that your neighbor has an injury and the local first responders are consumed with other calls following a large event. Participating in ReadyDominican will help you know where nurses, doctors, or CERT team members live nearby. Participating in ReadyDominican leads to knowing your neighbors, so you’ll be able to recognize suspicious activity on the block and alert the authorities in a timely manner. Participation builds community, a sense of belonging and safety. It is YOU that will make this program successful. No. ReadyDominican is a voluntary program. We are asking all residents to participate to the degree they are comfortable. Studies show that people are more inclined to prepare after an emergency. We don’t want to wait. Let’s learn from others before we are truly affected by an emergency event. People are also motivated to prepare when they see their neighbors being prepared. That’s why we have set up ReadyDominican. Let’s support each other and build a culture of preparedness within the neighborhood. Meet your neighbors, fill out a ReadyDominican form to share your information, and talk about what each of you are doing to be prepared for an emergency. Pass the word. Whether friends live in the Dominican area or elsewhere, the more we are prepared, the better off we will be when a disaster happens. We are in the process of building groups of 10-20 homes where one neighbor is identified as the Block Preparedness Coordinator. Their responsibility is to maintain contact and critical medical information for the group. Each neighbor in the group fills out a simple form (it takes 3 minutes) with phone numbers, pet information, special skills (medical, CERT, construction, etc. ), and more. This information remains confidential with the Block Preparedness Coordinator unless you authorize for it to be shared with the other neighbors in the group. Once the group is established and the Block Preparedness Coordinator has collected the forms, we build a map showing the authorized information such as names, contact information, special needs, and available skills/tools for each of the participating neighbors. A copy of this map will be provided to each neighbor in the group. The map is designed to be a concise and effective means of sharing pertinent information which will help neighbors communicate regularly and assist each other in emergencies. The Block Preparedness Coordinators throughout the entire Dominican neighborhood will be on an email list with each other and the neighborhood association. They will be notified of ReadyDominican program updates, pertinent emergency preparedness information, crime alerts, etc. Each Block Preparedness Coordinator will then communicate the information to their group participants. Once the marjority of your neighborhood group has completed these 5 steps, we will offer you the opportunity to place a small sign in your yard that says “I’m Ready. Are you?” for one week. After a week, we’ll remove it and put them in another group’s yards. Why do this? To spread the word. The more places we can get the word out that ReadyDominican is in place and working, the more others will be involved. Anyone driving by your house will see another instance of someone getting prepared and hopefully will want to be involved as well. We appreciate you helping us with this promotional part of the program. If you want to be a Block Preparedness Coordinator, we will help you get started, give you the program forms, explain the process in detail, and even walk the neighborhood with you. If you want to hold a meeting with your neighbors, we will come speak to your group or coordinate a member of the fire department to be in attendance to answer questions. If you just want to be a part of a group, we’ll work with you to find someone in your neighborhood to be the Block Preparedness Coordinator. Email us at DBCNA.info@gmail.com. 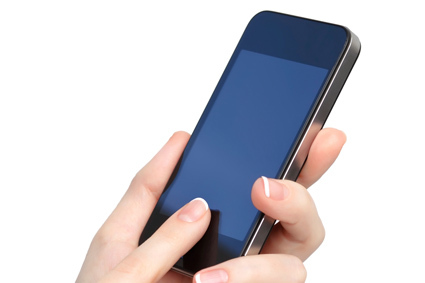 Marin County Telephone Emergency Notification System (TENS) has just expanded to include mobile phone numbers. It takes just a few minutes for you to register your numbers. TENS is used in the event of an emergency that threatens life or property, such as a fire, extreme weather, hazardous material spills, major crime event or missing persons. When we did the Black Canyon Evacuation Drill a few years ago, they used TENS to call everyone in the neighborhood. TENS historically used a reverse phone directory of all landlines in Marin. If you have a landline, it will continue to be in the system. You can register for each location, up to two cellular phone numbers and one VoIP number. For example, if you work outside the county, you now have a way to be notified if there is an emergency in your neighborhood. As your DBCNA webmaster, I thought it was time I “walk the talk” and take the CERT training. We have just one week left of the 5-week class. Below are my blogs (with the last one listed first) about the experience and hopefully encourage more neighbors to take advantage of this opportunity. After the latest disasters in Japan and tornadoes in the US, we can all see that it is important to be able to count on our neighbors in such situations…and wouldn’t it be great if our neighbors actually knew what to do? My goal is to be one of those! Here we go!! Week 5 is our last class where we get to put into ACTION what we have been learning in the form of two 30-minute simulations. Ten of us got together the Sunday before to discuss team assignments for the first simulation, responsibilities, plan of action, and eat cookies. I was the Incident Commander for the first one and thought I had a good plan…well I thought I did. Twenty wonderful volunteers came to the Fire Station and with blood and injury makeup were scattered about the disaster scene. Some were high school students getting community service credit. S we entered the simulated disaster scene, there was lots of drama. Screaming, yelling, oh my heavens. It was chaotic. There were two fires burning, a downed “hot” wire, many injuries, and lots of people in the tower who were injured. It was a tough, stressful 30 minutes. First job was to look at the map to see where the supplies were stored and send the Logistics team out to retrieve. Logistics began to set up the hospital while Medical Operations stocked up on their first aid supplies, and headed out into the disaster area to assess the injuries. You have probably seen the “tower” in the parking lot at Fire Station #2 across from Whole Foods. We had 5 or 6 injuries in the tower. The Search and Rescue team sent 2 people into the tower to search the whole building and call down, via one of only two walkie-talkies that we had, the injuries they found. One by one, they would walk or carry the injured down and call us to send a medical team to the front door. IN retrospect, we should’ve sent a second team into the tower to help. But this is where the chaos of the situation and our inexperience comes into play. We all walked away with such respect for our first responders who know how to asses a situation and assign proper team strength to those areas where it is needed. At the end of 30 minutes, simulation ended, we did a quick debrief and then regrouped for a second one. This one went a little better than the first, but still chaotic. Moving patients to the hospital and then determining who should get the most attention proved difficult. Our heroic volunteers were carefully instructed as to their injuries and whether they were mobile. As in a real disaster, there were people deemed to be “walking wounded” with minor injuries. We recruited some of those people to help. Clearly in a real disaster we would be covering a larger area, perhaps have people dribbling in to help rather than starting off with 32 people needing immediate assignments, but we would also have the adrenaline rush of real injuries, real confusion and the awareness of our skill limit. It was a sobering experience. I walk away from this class with a few thoughts. First, it was truly a great thing to do and I encourage everyone to take advantage of this opportunity. Even if you don’t think you’d want to run out and help the neighborhood, it will raise your awareness and skills to take care of yourself and your family. Two, I have an even deeper appreciation for our first responders who do this for a living and all they do in an emergency. Third, I will be organizing a team in my neighborhood so that we can group together to help each other in an emergency, and coordinate our supply cache. And lastly, I hope there are opportunities to participate in other simulations to practice these teachings and keep them fresh. This week was focused on light search and rescue. First we had to learn what “light” means. Basically if a house is leaning or appears structurally unsound then we leave it alone and don’t enter. However, light damage along with some information that people are trapped inside is a situation we can handle. How do we know anyone is inside? Someone might tell us, we could hear calls for help, look in the windows and see someone trapped, etc. But once we get inside, what do we do? We got into our gear and headed outside. First we learn that it is possible to lift big things OFF of people who are trapped. In the parking lot, there was a 2000 lb chunk of concrete (seriously, did they weigh it?) with a scarecrow person UNDER the block. We created a team and with a metal pole and scrap wood, actually lifted that concrete slab off the scarecrow (he was clearly a dead scarecrow). It is amazing what you can do with leverage! In preparation for the final simulations next week, we did a short simulation of a search and rescue. Teams were formed and S&R headed off to the tower for a mission. My buddy Greg and I turned on our helmet lights and began searching the 5 floors of the tower. We found 3 victims in there, one of which (our classmate of course) would not stop screaming (they told her to be hysterical). Even though it’s not real, it’s unnerving. But we searched the whole building and brought out the victims. It was a little creepy in there and I was glad there wasn’t a fire and smoke—how scary that must be!! Now we begin our planning for the full simulations next tuesday, where we will pull together all that we have learned for two 30 minute drills, volunteer victims (complete with fake blood), fire, and who knows what else!! This may be for some of the class, the only opportunity to develop just a little “muscle memory” about disaster organization and activity, so we need to make the most of it! The focus in this class was on Triage and Fires! 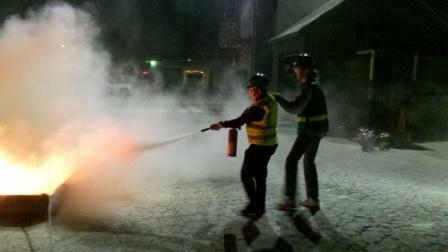 As you can see from the photo to the left (thank you Angela), we actually used fire extinguishers to put out a fire. Everyone got a chance. How many of us had never used one? This was a great experience! It also prompted me to purchase a fire extinguisher! How many of us, like me, had one little 25-year old extinguisher in the kitchen? Buy a new one. Shake it a couple times a year. If the fire doesn’t go out get out of the house! We also learned that the diamond shaped signs with blue, red and yellow blocks you see on buildings and trucks, indicate types of chemicals residing in the marked space. If we see a sign like that, stay away and wait for firefighters, as it is too dangerous and we are not equipped to handle it. This reinforces the thread of information we are hearing that OUR role is very basic and our safety paramount. Our triage exercise was great. Half the class was given cards describing their injury, respiration rate, circulation rate and mental state, and sent outside in the parking lot. The rest of us came outside and had 30 seconds per victim to do an assessment as to whether they needed immediate, delayed or minor care…oh, and there was one victim who was dead. Eeek! In a real emergency we would have to actually assess their condition as quickly as possible (no note cards around their neck in real life! ), and mark them with a piece of tape identifying their status. These are the things we can do: Check their breathing (open the airway), control bleeding, check capillary refill, and ask questions to asses their mental state (often a sign of shock). This first assessment is still a very quick process to “triage”, or sort, the victims so the ones in most need of help will get our time first. While this is just the first step in disaster first aid, it is a big one and I can see that doing disaster drills is critical to being able to respond in the moment. Next week: Light Search and Rescue! My only experience with this is playing “marco polo” in the pool. Yes I have a lot to learn! The focus of our class this week is first aid. Now our great trainers, Steven and Angela are not going to make medics out of us in 3 weeks…but we can learn the most basic of skills to keep many people alive until the first responders can get to us. These are our priorities. We can save a lot of lives with just these skills. If someone has a possible neck injury we are taught to not move them unless leaving them where they are will cause their death (such as in a fire). We learned a couple ways to keep the airway open. Bleeding can be managed with pressure We practice wrapping bandages on arms and legs, along with splints…lots of splints. We practice on each other and quickly learn this isn’t as simple as we thought!! More splinting next week! I suspect in an emergency, one might wrap an injury too tightly in all the excitement! Angela teaches us how to check for a pulse regularly in the extremity we have wrapped to ensure we aren’t cutting off blood flow. We also check fingers by pushing on the fingernail and watching for blood to return within 2 secs. That’s easy to remember. I always thought “triage” was just emergency medical practices but it actually means to assess the situation to determine who has the most immediate needs. More on that next week. For every patient we are taught to do a body assessment, head to toe, to determine how severe the patient status is, and if there are hidden injuries. While there isn’t much we can do about a lot of injuries, it is critical that we take notes and prepare a list for the emergency responders. Oh there is so much more to learn and I leave feeling like more first aid training would be a good thing. I can also see that adding more first aid supplies to my CERT backpack is necessary…and a good thing to carry in my car. Snacks this week were very good too!! Thirty-two people showed up at 6pm for the sold-out CERT training to meet our leaders, Steven Hancock and Angela Del Ponte of the San Rafael Office of Emergency Services. It’s amazing how much energy these two have after a full day of work! We are given name tags and a binder full of information for the course. The class is composed of people of all ages, including a group of students from Dominican University . . . and their teacher, Matt Davis. Matt teaches a class in disaster psychology—I hope to do a story on him for our site. Did I mention there are snacks? We are given an overview of the class and learn that this first session is the only one where we will be inside for the 3 hours. After tonight, it’s more “hands on”. We will learn to put out a fire, practice basic first aid, learn to work in teams, how to assess a situation, delegate responsibilities, and more. They have promised the class will be fun! After some lecture time, we are broken up into 4 teams and given an assignment. I don’t want to ruin it for you when you take the course, but we had 8 minutes to do a project, AS A TEAM. It was an interesting experience to see how 8 people could work together under the duress of a time limit, make decisions, assign responsibilities, etc. This is a simulation designed to teach us how it would be in an emergency. Great exercise and debrief. Steven and Angela talk to us about organizations and structure and I can see that this class isn’t just about learning to put out fires, but the critical component is understanding how a team works. In a disaster, we have to determine where to put our resources and WHAT our resources are. I learn the first response is to make sure that my home and family are secure. Smell for gas, look for smoke, assess the safety, gather my CERT backpack and go into the neighborhood to help. I don’t know much beyond that but I am looking forward to learning!! So I can already see that knowing where the elderly or disabled are in my neighborhood is critical. Did the disaster happen during the day so maybe there are kids at home with parents stuck at work? Or is it the nighttime and flashlights are critical as the darkness makes everything more difficult? Do I have a good first aid kit? Where have I stored my earthquake supplies? Are they all in the collapsed garage? Oh, and I’ve been talking about taking that CPR class for 20 years—need to do that. All of this rolls through my mind as Steven discusses creating a team organization on-the-spot, and delegating duties quickly based on who has what skills. I am thinking we need more CERT graduates in the neighborhood. We finish the class with instructions to bring gloves for next week, make some bandages for our CERT backpack kits, and do our homework. 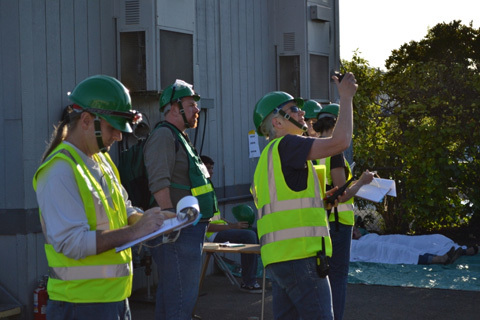 Then we each pick up a new green backpack, with reflective vest, hardhat, and goggles. This is all included in the $30 class fee. This is a deal!! I go home with many more questions and concerns about a disaster than before. There is a lot to learn and think about. I look forward to Tuesday. The last two classes have SOLD OUT so if you want to learn more, the next class starts May 14 in Nicasio. Register today. Call 485-3409. 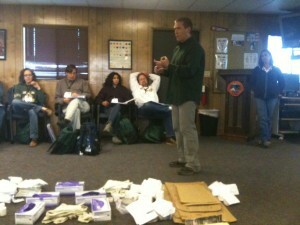 Or go online www.marincountycert.org to see the full 2011 class schedule. Evacuation Drill A Success…in the Rain! The Evacuation Drill on Saturday June 4 was planned on being a wildfire drill…but with the rain, switched to a “landslide” situation!! In spite of the rain, approximately 70 families out of the 250 homes in the zone left their homes and registered at the evacuation center at Trinity Church. One component of this drill was to test the TENS phone system, which began calling residents at 9:10 (10 minutes later than was planned), and giving instructions to evacuate. This emergency phone system only calls landlines, which is clearly an issue now with so many people using cell phones as their main telecommunication source. The City is working on setting up another system that will allow residents to register their cell phones into an emergency system. Once the calls went out, the Fire Department sent 4 trucks and one ambulence up Mountain View into the evacuation zone. 2 San Rafael Police patrol cars with 3 officers each, also entered the area and began the house-to-house search. If a resident put a “not participating” hanger on their door, the officers passed on the house. Otherwise, they knocked and made sure people were evacuated. Part of the drill was to assess how long this process takes so they can plan on what resources might be needed in a real fire situation. The SRPD found this door-to-door process went very well, and more quickly than they anticipated. However, the caveat is that in a real emergency, residents would not know what is happening and the officers would spend more time at each house explaining the danger and giving instructions on where to evacuate. In the City’s emergency plan, we would actually evacuate to San Rafael High School. Process at the evacuation center went extremely well. Residents were met by the Red Cross and asked to sign in. For drill feedback purposes, they were also asked to fill out a short survey. Local San Rafael CERT team members volunteered in the registration area and manned the CERT program information table. The Marin Humane Society was also present and boldly set up a tent outside in the rain. In the 2-1/2 hours they checked in 22 dogs and 7 cats, providing participants the experience of evacuating with their animals! The Salvation Army also weathered the storm with their mobile kitchen unit. Once completed, evacuees were directed to the shelter area for coffee and snacks! Tables were set up with information from the American Red Cross, the Fire Department vegetation abatement program, Marin Medical Reserves and the CERT program. The Dominican Black Canyon Neighborhood Association appreciates the extraordinary effort by Steven Hancock and Angela del Ponte of the Office of Emergency Services in organizing this drill…and to the Fire Department and Police Department in dedicating resources to this event in the hopes of saving lives should their be a need to evacuate. We appreciate Trinity Church opening their doors to our neighbors and allowing the use of the facility for the morning. To our “evacuees”, your participation not only helps you, but has helped our first responders learn new valuable information. If you want to learn more, click on the Disaster Preparedness tab and learn about how to get ready, take a CERT class, and prepare your family for a safe response in the event of a disaster. Read the story in the Marin IJ. Read the story in the San Rafael Patch. 10 minutes to Evacuate. What to take? Part of the Get Ready Marin program is an intriguing question. 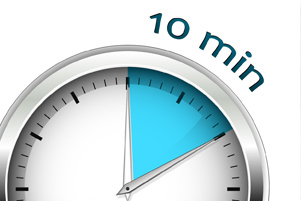 If you had 10 minutes to evacuate your home, what are the 10 things you would take with you? Often after a disaster, you hear people who evacuated quickly grabbed family photos. Where are yours stored? Are they readily accessible? Remember that just having thought through a plan will make your actions in the moment easier to recall. And if you prepare a Go bag, you will have critical items already collected for an quick exit. Click on Small Bites in the tag cloud for more quick disaster preparation ideas. 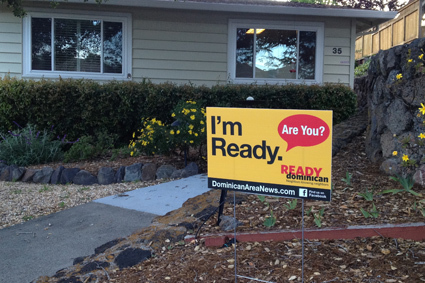 Or visit Get Ready Marin or the San Rafael Office of Emergency Services for more information.